Sharjah: A Gulf News staffer has won an award instituted by an Indian cultural organisation. 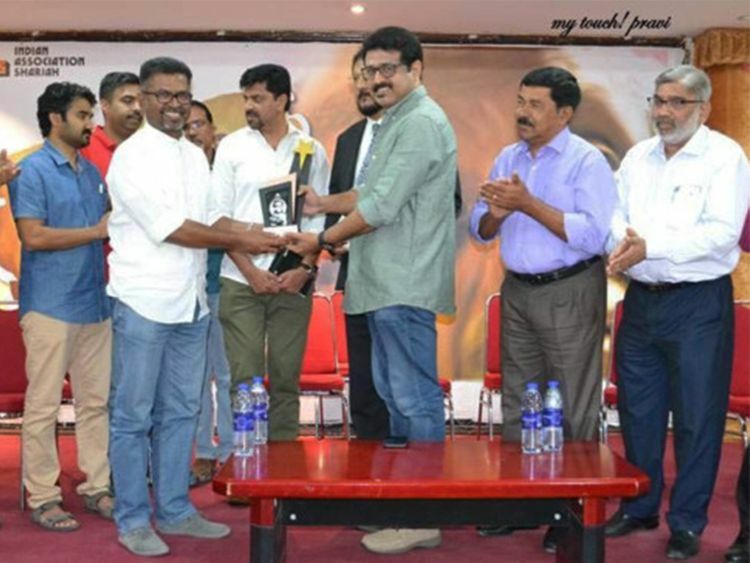 Ramachandra Babu, senior illustrator with Gulf News, received C.K Chandrappan Memorial Award 2019 at a glittering ceremony at the Indian Association — Sharjah on Friday. Constituted by Yuvakalasahithi Sharjah, the annual award recognises talents in various creative fields in the UAE, in memory of prominent Indian political leader C.K Chandrappan. Babu, a known illustrator and caricaturist, accepted the award from famous Indian filmmaker Salim Ahmad. A five-member jury selected him for the award. The award ceremony was attended by prominent Indian community leaders. Shabu Kilithattil, a journalist and chairman of the jury, delivered Chandrappan memorial lecture at the event.